Kamjong (Ukhrul), April 08 2012: Come May, Khairi Kashao, an age-old art of fishing by applying a blend of herbs widely practiced among the Tangkhuls in the days of yore, would come alive at Ningthi village, and the entire ritualistic scene would be put under the lens of documentary filmmaker. 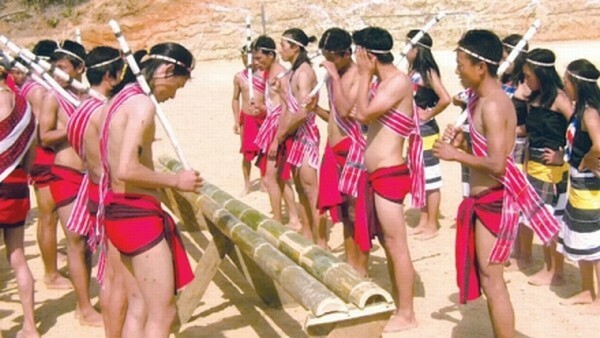 On March 27 last, people of Ningthi village decided to organize the age-old Khairi Kashao at Maklang River and scheduled the event tentatively on May 10 . The decision to hold the community fishing came following a proposal from a filmmaker to document the age-old practice, which is now gradually vanishing. For the indigenous Tangkhul tribe, Khairi Kashao is not merely an age-old practice but a ritual to invoke god for rains. The ritualistic tradition, which is normally organize after the end of seed sowing and sparingly held in the absence of rain, is a vanishing culture with the advent of Christianity. In the days of yore, the belief among the natives was so strong that they would call upon "Amu"- the god of mountain, in case there was no rainfall after the seed sowing. "This is the time when the villagers would invoke the spirit for rain by organizing Khairi Kashao�and there is always rain," said an 83-year-old native Yarseng Jajo. Ningthi village, a hamlet located in Kamjong range about 103-km from Ukhrul town, is steeped with rich culture. "In the entire Eastern Tangkhuls, the community fishing in our village is unique and different from others," remarked BS. This claim could be substantiated from the existing folksongs and narratives, which are still bedtime stories for the natives. In the joint village sitting on March 27, a 5-member committee was also set up to assist in research and supervising the entire event. The documentary film will be directed by Pamreiso Shimray with the assistance from professional crew comprising filmmaker Chaoba. The project is being supported by Tribal Research Institute, Manipur.